This month’s postcard, circa 1910, was never sent through the mail and therefore has no postmark or any message written on the back. 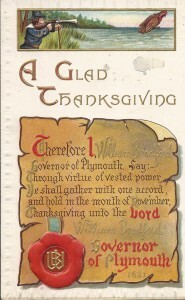 Through virtue of vested power Ye shall gather with one accord, and hold in the month of November, Thanksgiving unto the Lord. 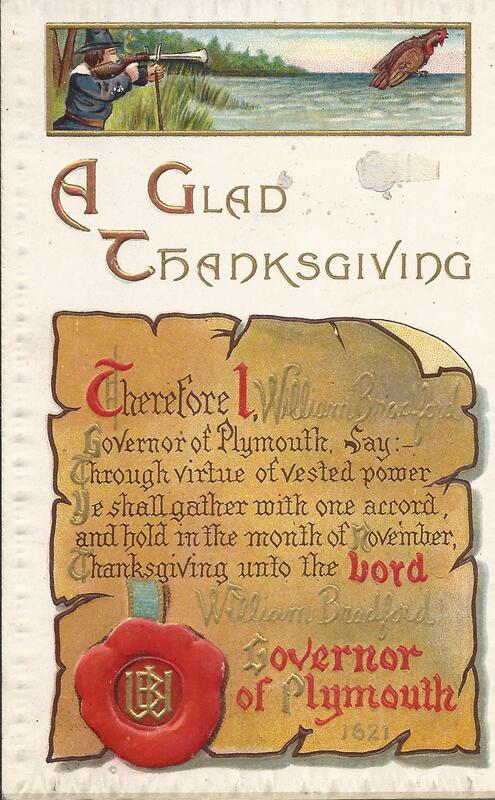 This entry was posted in Postcard of the Month and tagged Plymouth history, Thanksgiving history, Victorian era postcards, William Bradford. Bookmark the permalink.